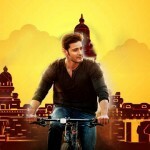 Mahesh Babu, the Prince of Tollywood, is one of the biggest earners in the South Indian Film Industry as he is involving not only in acting and producing the movies but also earning money by endorsing several top brands products. Take a look at the new ads of Abhibhus featuring Tollywood actor Mahesh Babu. In the ads, Mahesh Babu is seen as a passenger who booked ticket on abhibus.com. The actor is seen interacting with passengers in the Bus and highlighted the importance of Abhibhus apps. It is to be mentioned here that Mahesh Babu is known as Brand King, because he has many brands in his kitty. The latest one to join is abhibus.com online ticketing website. The officials of the company have released these ads yesterday on you tube, and the ads featured Mahesh Babu and Krishnudu in the lead roles. Super Star is looking very handsome in all these ads, and it is sure that the ticketing sales on Abhibus will certainly see a progress. Mahesh Babu is seen interacting with his co-passengers regarding booking tickets from anywhere and booking any seat that we wish for. The commercial ad has the duration of 21 sec and has been shoot in Telugu. It has also been dubbed in Hindi, Kannada and Malayalam. The ad is going viral on the social networking sites in which Mahesh Babu is rocking. All the version except, Telugu has been released and now audiences are eagerly waiting to watch its Telugu version.